London, November, 2013: New Duracell Ultra Power now lasts even longer delivering more power to your devices according to independent tests which show that one Duracell Ultra Power lasts as long as 12 leading zinc batteries1. With consumers constantly seeking the savvy choice and a temptation to opt for cheaper brand batteries, the research is clear evidence that the real value for money lies in choosing quality batteries which deliver a greater performance. In tests, Duracell Ultra Power’s performance superiority over leading zinc batteries is demonstrated across a range of devices. In cameras, for every one flash with zinc batteries, Duracell Ultra Power delivers 62 flashes. In motor toys, for every one hour of playtime with zinc batteries, Duracell Ultra Power delivers four and a half hours. And with portable lighting, such as torches, for every one hour of light delivered by zinc batteries, Duracell Ultra Power gives you over five hours. Duracell Ultra Power enables you to be more prepared than ever before to power the devices in your home. Your friends or family may be continually reaching for new batteries, but you don’t have to. With Duracell Ultra Power you have peace of mind that long-lasting power will always be ready whenever you need it most. Key technology enhancements in Duracell Ultra Power make it the longest-lasting alkaline battery on the market2. Better materials: Modified zinc blend with smaller particles for enhanced high energy transfer and active ingredients designed to power high drain devices. Better construction: Thinner separator (the essential part of the battery that keeps the anode and cathode apart) for less internal resistance which means more power. Duracell Ultra Power is also the only battery that offers the unique built-in Powercheck technology, an integrated power checker enabling you to see exactly how much power you have left in each battery and get the most from your devices. Duracell Ultra Power with Duralock is available from all major supermarkets or from www.amazon.co.uk across AA/AAA/C/D/9v. The Duralock Power Preserve guarantee is also available across Plus Power (AA/AAA/C/D/9V), Rechargeable (AA/AAA), Hearing Aid and Coin Button ranges. 1 Based on Duracell Ultra Power AA vs. Kodak ZnCl AA, Panasonic ZnC & ZnCL AA and Sony ZnCl AA batteries as tested in digital cameras. Results may vary by device. 2 Weighted Average Performance scores are calculated using industry standardized test results measured across market device penetration. These scores show that Duracell Ultra Power AA performs better than leading competition: Varta MaxTech, Varta MaxTech, Panasonic Evolta, Energizer Ultra+. Duracell started in humble beginnings in the early 1920s but has since gone on to become the bestselling battery brand in the world. 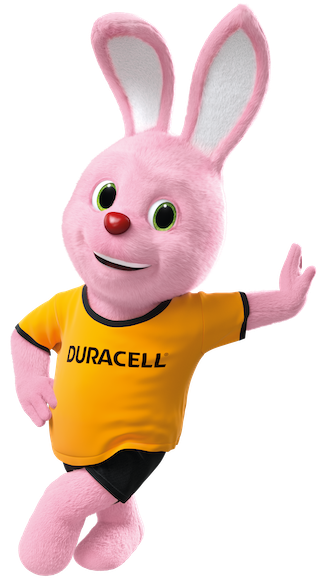 Duracell’s aim has always been to provide a variety of personal power options for the very best value which are loved by consumers across the world. Duracell is committed to developing a broad range of solutions to keep people powered up longer, not just through batteries but a range of on the go devices and charging capabilities to suit any situation. As technology enables us to do more than ever before, Duracell enables people to go beyond the power limits of their devices to ensure we stay connected and never miss a moment. P&G touches and improves the lives of about 4.4 billion people around the world with its portfolio of trusted, quality brands. The Company’s leadership brands include Pampers®, Tide®, Ariel®, Always®, Whisper®, Pantene®, Mach3®, Bounty®, Dawn®, Fairy®, Gain®, Pringles®, Charmin®, Downy®, Lenor®, Iams®, Crest®, Oral-B®, Duracell®, Olay®, Head & Shoulders®, Wella®, Gillette®, Braun®, Fusion®, Ace®, Febreze®, and Ambi Pur®. With operations in about 80 countries, P&G brands are available in more than 180 countries worldwide. Please visit http://www.pg.com for the latest news and in-depth information about P&G and its brands.